Mirasol Copacabana는 코파카바나 해변에서 300m 떨어져 있으며 바, 레스토랑, 상점이 즐비한 활기찬 지역에 위치하고 있습니다. 호텔에서 풍성한 조식 뷔페를 즐겨 보십시오. 옥상 수영장은 대서양의 전망을 자랑합니다. 목재 마루로 마감된 객실은 에어컨과 현대적인 장식을 완비하고 있습니다. 평면 TV, 미니바, 전용 욕실도 마련되어 있습니다. 일부 객실은 온수 욕조와 여유 공간을 제공합니다. 금연 객실도 이용 가능합니다. 테라스에서 브라질 예수상의 아름다운 전망을 감상하실 수 있습니다. 호텔에서는 투숙객에게 비치 타월도 제공해드립니다. 각종 시설이 완비된 피트니스 센터와 사우나도 이용 가능합니다. 화려한 Sky Sol 바에서 다양한 음료를 즐겨 보십시오. El Sol 레스토랑에서는 브라질 요리와 세계 각국의 요리 모두를 경험하실 수 있습니다. 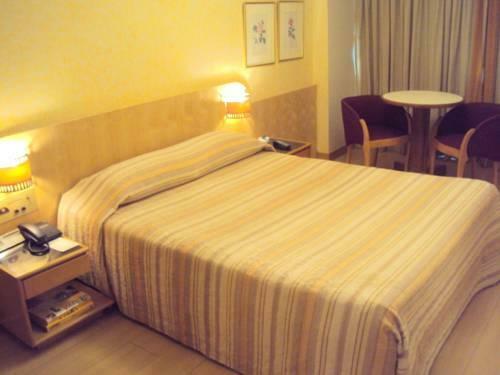 Mirasol Copacabana Hotel에서 코파카바나 요새(Copacabana Fort)가 3.3km, 라고아 스타디움(Lagoa Stadium)은 7km 거리에 있습니다. 산토스 두몽 공항까지는 8.9km, 갈레앙 국제공항까지의 거리는 22.9km입니다. 대형 차량, 차체가 낮은 차량 혹은 장갑 차량은 이 호텔 주차장에 주차할 수 없습니다. 안전 금고를 무료로 이용할 수 있습니다. 예약에 사용한 신용카드 소지인의 명의와 투숙객의 성함이 반드시 일치해야 합니다. 이 호텔에서는 자전거를 이용할 수 없습니다. 모든 투숙객은 체크인 시 사진이 부착된 유효한 신분증과 신용카드를 제시하셔야 합니다. 모든 별도 요청 사항은 체크인 시 가능한 경우에 한해 제공되며, 추가 비용이 부과될 수도 있음을 안내드립니다. The friendly staff who spoke English and French. The breakfast which offered a wide variety of hot and cold meals, which tasted good. The comfort of the room. Our stay was amazing. We were delighted to get in our comfortable room after a 22-hour-trip. The staff has always been very dedicated to meet our needs. They spoke good English and French. The hotel is well situated, a 5 min walk to the beach. Even if we were cautious while walking back to the hotel at night, we never felt insecure. The room was very comfortable. We enjoyed the sauna annexed to the bathroom. The only problem was the air conditioning which was very loud. The breakfast tasted good. 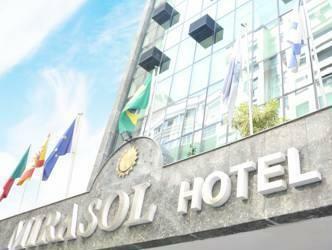 I would definitely go back to Mirasol Hotel and would recommend it to all my friends and acquaintances. Good interconnected rooms, very good breakfast. We were 4 people, 2 adults and two kids/teens. The location is very good, close to the best spot in the Copacabana's beach. If you rent a car, remember that the park is near 10€/day, otherwise it's impossible to park nearby. The safe is 2€/day and it's big enough to keep the small cameras, mobile phones and other important docs you need to keep. You can easily go by car to the Pão de Açúcar. the hotel was easy to find but parking was a nightmare. this is to be expected near the beach in rio. check in was simple and easy. room was very small, much like a budget hotel in the u.s. but the cost was very high. when we tried to use the pool in the evening, the attendees literally chased us off at 8:30 p.m. trying to close up and go home. breakfast was adequate, but when my daughter tried to take a banana to go, the waiter waived his finger in a no gesture and insisted she eat it or leave it. a banana for goodness sake! when we checked out the hotel added about 25% more in fees, not including tax that were just add ons we didn't know about. 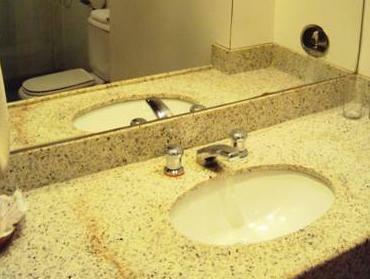 Hôtel bien situé et propre. 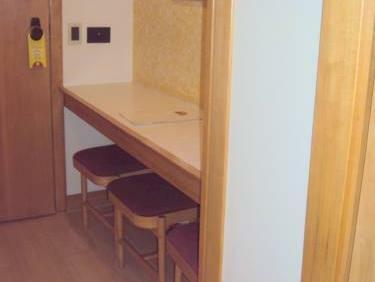 Chambres bien équipées mais un peu petites. Un peu cher mais les prix de Rio sont très élevés, pour la ville, c'est un bon rapport qualité/prix.